Have the best tailgate in the parking lot! Every one of our quality Tailgating Trailers comes with a Private Bathroom, Grill, Keg Beer Dispenser, and Multiple Large Screen TV's Entertainment System. Whether you are at the game, at the race, the concert or event. With friends and family. You are king of the party. Add an inflatable mattress and you could even sleep in it! 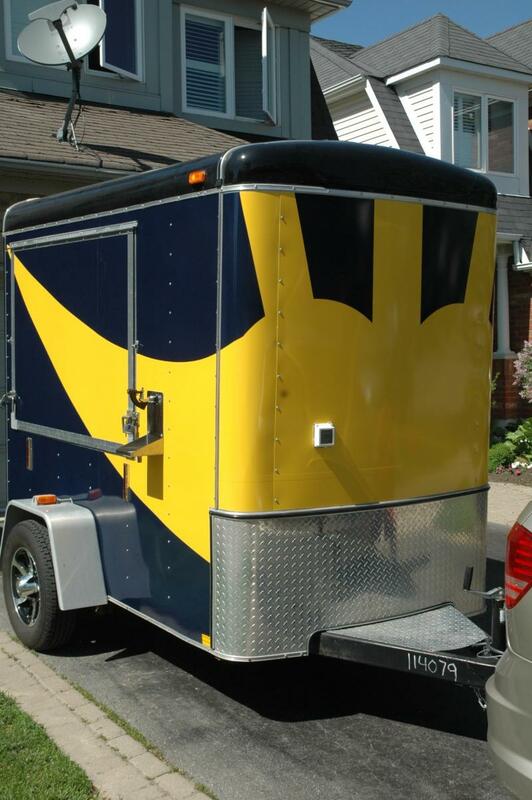 Own the trailer that let you have the coolest party in every parking lot you ever tailgate in! TV's on 3 sides! A 65", 50" & a 42"
Call for Demo Deals and availability! $500 for you & $500 for them! When a friend purchases any of our Tailgating Trailers. Call us at 203-885-5594 so you can locate us. Come by for a beverage, a burger or to just see the ultimate in tailgating trailers.